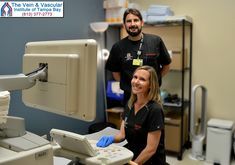 Endovenous ablation Tampa (EVLT) is the latest non-invasive vein treatment that the vascular surgeons at The Vein & Vascular Institute of Tampa Bay use to treat venous insufficiency and varicose veins. Patient Janet, was suffering from chronic venous insufficiency, spider veins and varicose veins on her legs. These dangerous vein disorders were causing Janet severe leg pain, leg swelling, and tenderness in her legs. Not only were these dangerous vein disorders causing Janet debilitating symptoms, but they were also putting Janet’s life at risk. A blood clot could have formed inside her diseased veins and traveled to her lungs, causing a deadly pulmonary embolism. Tampa vein surgeon, Dr. Thomas Kerr used Endovenous Laser Ablation to close Janet’s diseased veins, helping Janet to enjoy life with healthy legs again. “Hi I’m Dr. Thomas Kerr. Today I’m here with Janet. I’ve known Janet for over 20 years. Janet initially came to me with severe leg pain, leg swelling, tenderness in her legs. She also had severe venous insufficiency and varicose veins that were causing her a multitude of problems: night cramps, night pain, restless leg syndrome, she was getting cramps when she walked, she was getting leg swelling, she was getting tenderness, and cramps throughout the day. We first saw her and did a vascular ultrasound. We were able to look inside of her veins and see which veins worked and which veins did not work. We were actually able to look at her vein valves. We were able to decide if they were competent or incompetent. She had severe venous insufficiency, where the blood was running down her legs the wrong way. This was causing a lot of extra fluid and pressure in the lower extremities. This also contributed to causing her varicose veins. In the old days, people used to think that this was cosmetic and wasn’t covered by your insurance. 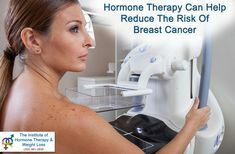 Or even the primary care physicians would say it’s not covered by insurance or it’s not a medical problem. 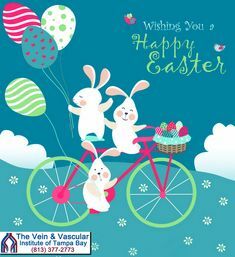 As the years have gone on and some of the research I initially did, we found that the blood sitting in your veins, secondary to venous insufficiency causes Deep Vein Thrombosis and can even break off and cause a blood clot in your leg and go to your lung, causing a pulmonary embolism. Fortunately for Janet she came to us just at the onset of when Radio Frequency Ablation and Laser Ablation (EVLT) came into play. In the old days we would have to make many cuts under general anesthesia in a hospital setting, and basically rip these veins out. She came to us right as the new technology evolved, where we were able to, with a small little puncture in our office, put a laser catheter into her vein, and literally close the vein from the inside. This is basically like a bucket moving your blood from your feet up to your heart, she had a hole in the bottom of the bucket. That’s the insufficiency, where the blood was leaking down her leg. We were able to put the laser into the bad vein and basically close the hole in the bottom of this bucket, so all the blood could move from her feet straight to her heart, without it sitting around and causing blood clots. We’ve done a few procedures over the years with her, and have been able to virtually get rid of all the varicosities in her lower extremities, as well as close off the greater saphenous vein and the smaller saphenous vein which were her main incompetent veins where the blood was running the wrong way. This stopped a lot of the leg swelling, the aches, the heaviness, the restless legs and we were also able to eradicate her varicose veins and her spider veins for her. She’s now been tremendously better. She has no more restless leg syndrome, no more heaviness, no more achiness, and we’ve also removed the chance of her having Deep Vein Thrombosis, or Pulmonary Embolism or Blood Clots. And she’s now doing remarkably well and she’s here with me today. Janet: You made my life a lot better. My legs feel so good. I used to couldn’t do anything. Now I can do things. Slow but sure. Dr. Kerr: Well I’m so glad that things worked out well for you. You’re a great patient. That’s because you listened to what we said and you did everything perfect. Janet: Well it takes a good vascular doctor and a good vascular surgery team. I found out about Dr. Thomas Kerr from doctors. Other doctors recommended me to him. And then I looked him up and asked around…the best vascular surgeon in town. To me, he is the best, the only one I can trust with my veins. If something had to be done, I say, I’ll get my doctor…Dr. Thomas Kerr. Do you get swollen legs and are you starting to notice spider veins and varicose veins forming on your legs? It’s important to know that venous insufficiency is a very dangerous vein disease. 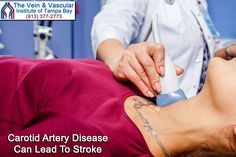 And If it’s not treated, it can put you at risk of developing a blood clot (deep vein thrombosis) in your leg veins, that can travel to your lungs, causing a pulmonary embolism…that can be fatal. 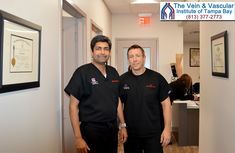 If you think you have venous insufficiency, the vascular surgeons at The Vein & Vascular Institute of Tampa Bay recommend that you schedule a vein consultation to determine if your symptoms are related to chronic venous insufficiency. If you are diagnosed with chronic venous insufficiency, a vascular ultrasound will be recommended to confirm the diagnosis and to discover the malfunctioning veins that need to be treated. 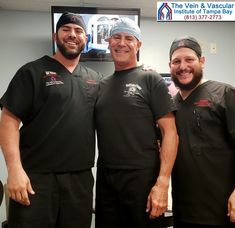 Using endovenous laser ablation (EVLT), our Tampa vein surgeons have treated thousands of patients that were suffering from venous insufficiency and varicose veins. And now these patients are able to enjoy life with healthy legs again. To schedule your vein consultation with one of our Board Certified Vascular Surgeons, give us a call at 813-377-2773.